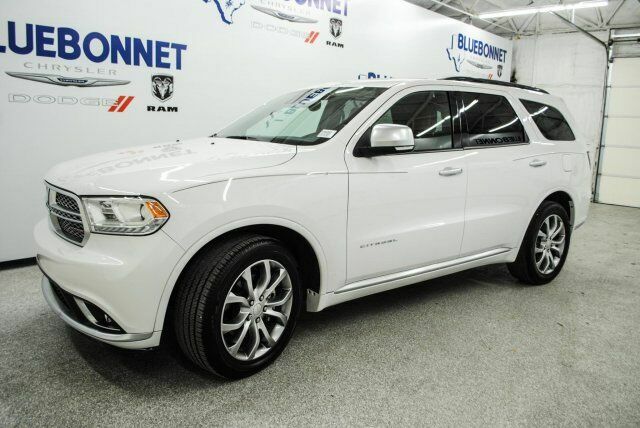 Purchase this Certified Pre-Owned 2017 bright white Dodge Durango Citadel Anodized Platinum at an amazing price! This beautiful SUV sports a luxurious cattle tan leather interior and is loaded with a 3rd row, alloy wheels, touch screen display, Sirius XM radio, MP3, UConnect, cruise control, push start, back-up camera, roof rack, Navigation, DVD, power seats, sunroof, Beats speakers, and so much more. It's powered by a 5.7L V8 engine for safely hauling the whole family around. With NO HASSLE at all, you can drive this great SUV away today. If you have any questions about this amazing find or any of our other vehicles, please call our sales office. Thank you for your interest & we look forward to hearing from you!